It’s been a crazy off-season so far this summer. 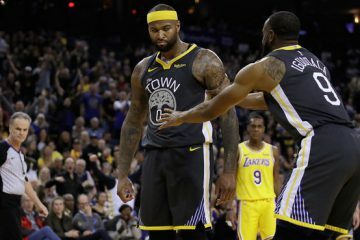 LeBron James came to the Western Conference, Kawhi Leonard was traded to the Raptors and the Warriors somehow managed to land DeMarcus Cousins. Not to mention all the other moves that didn’t make headlines, but will certainly have an impact on the 2018-19 season. Since most of the exciting part of this off-season is over, NBA fans are now looking for anything to entertain them. Kevin Durant and C.J. McCollum provided that entertainment for us through the wonderful world of Twitter. They were just on a podcast together and then this happened. On a slow day in the NBA, this definitely got everybody talking. Durant took offense to the gang comparison and rightfully so. How are we still talking about a decision he made a couple years ago? 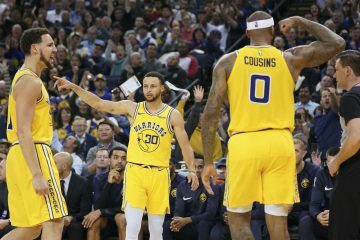 KD and the Warriors are heavy favorites to win according to toals.com. Also, for all of you that complain when athletes sounds robotic and insincere, this is exactly what you are asking for and you should not be disappointed. Two NBA stars going at it on Twitter and letting their real feelings out. Both players didn’t respond to on another after the initial Tweets, but they did respond to other people. Durant essentially doubled down on being able to speak his mind and McCollum re-assured everybody that there is no beef between him and Durant. 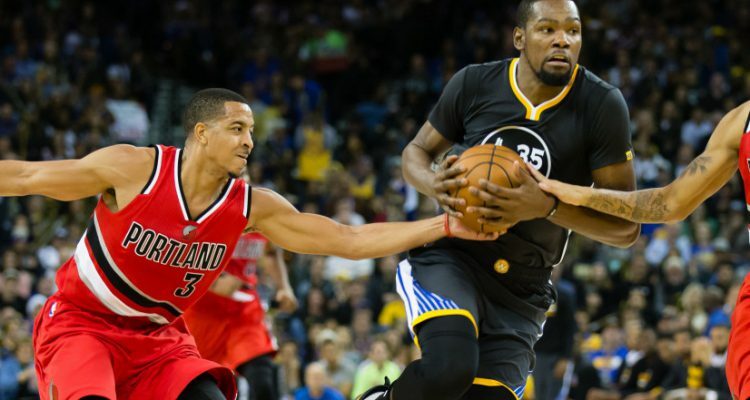 At least this makes the Warriors vs. Blazers match-ups a little more interesting next season.